Concerned about potential hostility toward Muslim women, an Anglican priest decided to wear a hijab for a day to see what it is like. 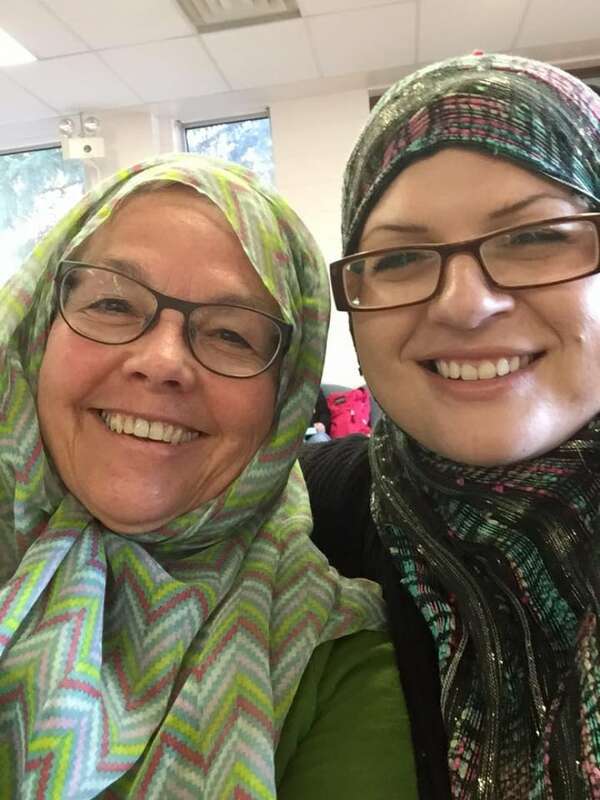 Anglican priest Cheryl Toth decided to wear a hijab for a day to see what the experience is like. 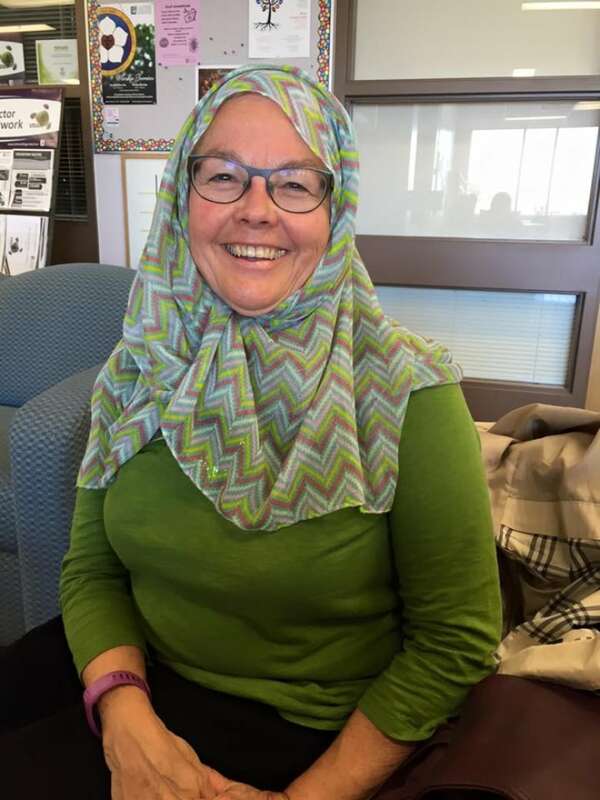 (Submitted by Cheryl Toth)Concerned with what she calls the "increasing rhetoric about the wearing of the niqab by Muslim women," an Anglican priest in Regina decided to take matters into her own hands. She wore a hijab for a day to see what's like. In a post on Facebook, Cheryl Toth said she's "uncomfortable with the way the debate focuses on what women wear (or decide not to wear). I am afraid that [the rhetoric] will increase hostility towards women who choose to wear a hijab, a niqab or a burka." She said she sees her trial run with the hijab as a way "to contribute to the conversation." She wore it around Regina including on campus at Luther College, walking around her neighbourhood, at a public lecture and while shopping at a mall. "Several people who know me passed by without recognizing me ... most people who saw me walking by avoided eye contact, and people did not speak to me unless I spoke first (perhaps they thought I couldn't speak English)," she said in the post. She also noted that while at the mall, a passing woman frowned at her after she smiled at the woman. "Only two people smiled at me in public today. One was a young woman wearing a hijab who gave a wonderful smile as I passed her on campus. The second was an older Chinese immigrant woman who passed me on a walk and greeted me with a big smile and a 'hello,'" she said. Toth said that after her experience of wearing a hijab, she "will speak up when I hear fear-mongering about and stereotyping of Muslim women. I give those who wear traditional head coverings and those who don't my support and respect as they make choices for their lives." Toth, who is semi-retired, told CBC News that her experience was informative. "A lot of people would see me and they would look down or away and so I felt like I was being avoided," she said. "There were times when I felt some more than just discomfort on people's parts. Some sort of hostility or fear." Toth said the current debate about the niqab debate disturbed her. "I just began to think about what it must be like for Muslim women who are choosing to wear a hijab or niqab or a burka and having that questioned for all kinds of reasons and associated with terrorism and somehow undermining Canadian values which I disagree with," she said.